Head to Mare (a very pretty japanese store) and there's 2 item camps in the shop. The other is some Survival Boots which I think are amazing! The camp time for these are 123 minutes. Sucha pretty harp! I'm so happy that I figured this out early on. Let me impart my knowledge on you. SLURLs are comprised of a region name and an XYZ coordinate. If you've ever built anything, you'll know what I mean by XYZ coordinate, but basically think of that as the "Address" for the place you are headed. Hit the Map button and hit "Copy SLURL to Clipboard." 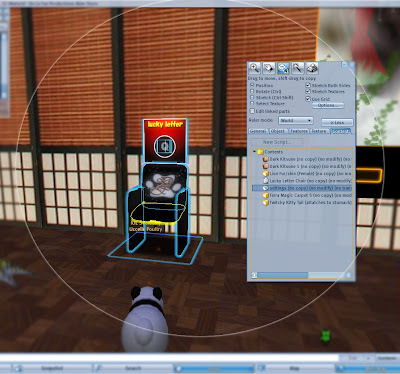 Then you are free to paste the SLURL into a chat window, an email, the LKC Blog, wherever! A SLURL in your chat history is clickable. You can type your own SLURL. For Example: Serenity posted the Lucky Kitty Crew Headquarters address as follows: Bruissac (103,43,37). This means that it is in the Bruissac region, and it's coordinates are 103/43/37. 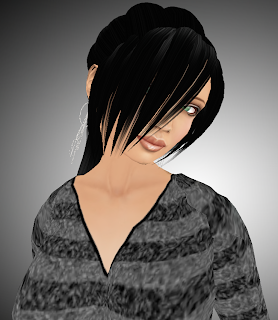 To create a SLURL for use in the Second Life viewer ONLY, you can abbreviate secondlife://Bruissac/103/43/37. If you want it to appear as a clickable link in a web window (Firefox), you have to type the full address, http://slurl.com/secondlife/Bruissac/103/43/37. Make sense? Sometimes you teleport in and you're not where the SLURL said you were going to go. That's because this region has a "Telehub." For some odd reason, the owners of the region decided to confuse everyone by making us all teleport in to 1 location on their sim, instead of teleporting directly to the freebie! 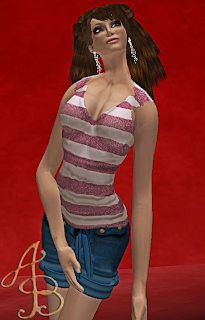 So, in the chat history, click on the SLURL to pop up the Landmark window. Hit "Show on Map" to see your red beacon. Then from the map hit teleport. You should now see a Red Beacon that you can fly to to retrieve your hard-fought prize! What if you can't fly? I HATE no-fly zones. I can see why some places have no-fly zones, but frankly I think it's stupid. Good thing you can override it and fly anyway! hehehe. Hit Command + Option + V.
I will expand on this if I have missed anything. Happy hunting! ➀ Right-click on the chair and choose Edit. ➁ Right-click on the chair and choose Edit again! There's all the goodies! Now make a list or just compare to what you have already won. Kira McCallen teleported me to Tailz De La Fae (SLurl) for a prize chair with a wonderful prize (a high-quality lion neko skin) and I found some freebs in the corner! One of which was Glowing Eye Prims. I pictured some sort of monster-robot-evul thing and was pleasantly suprised! Also in the corner is a box of free kitty sounds that are pretty typical of what you'll find elsewhere in Second Life™ shops and a unicorn horn (fine if you don't like to mess with a prim on your own). Thanks, Kira for inviting me to post on this blog and tons of huggs to Serenkitty for such a great group! And yes, you're not seeing things, Serenity really is dressed as a yummy ice cream cone. 5 hour camp on the bloody mattress for: Neko Gear TD Slayer Belt Set! There are eight 30 minute camping pillows surrounding the fire pit for various items of clothing, and several other camping spots for collars and things. Overall this place gets 5 out of 5 Kitty Paws. This will be a treat to all you bunny/usagi lovers out there. ^^ I discovered a lil place called Usagi Shouten, which has numerous bunny items for free. Then we move on to an adorable freeb cuddle bunny umbrella, freeb bunny earrings, and looks to be a mysterious freeb bunny av! Finally we have a freeb kinda cyber bunny helmet, freeb laser hand thing, and just freeb bunny friend. Pretty darn nice! Hope all you bunny and animal lovers out there enjoy this. Hopefully trying to make one post a day lately, dunno how well it'll keep up though. New item camp is put out by Utsuku City pray to the Bear Statue for 10 minutes and recieve a bear plushie to hold on your own. Since there is a date on this expect it to possibly change prizes each day. ^^ Also check out the city for more item camping! This time I'm going to save you time, you have to tp just to two places. So just have fun , and please don't forget the COMMENTS. Turns out to be a baby dragon egg! But the item camp itself is at http://slurl.com/secondlife/Gorlen%20Bay/4/176/91 high in a nest. The baby dragon item camp requires one to cuddle a dragon egg (to keep it warm of course!) for 10 minutes. This is Serenity Semple your Lucky Kitty Crew leader over and out! 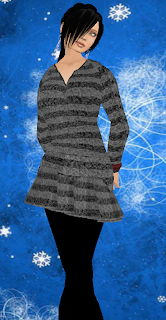 Sunday again , a beautiful day, and this time i want to share with you cute japanese girl that i made from freebie. Earrings- *BoA Creation* , there are Lucky chairs and you can win it, and if u want really nice necklace , you can join the group and get it for free.